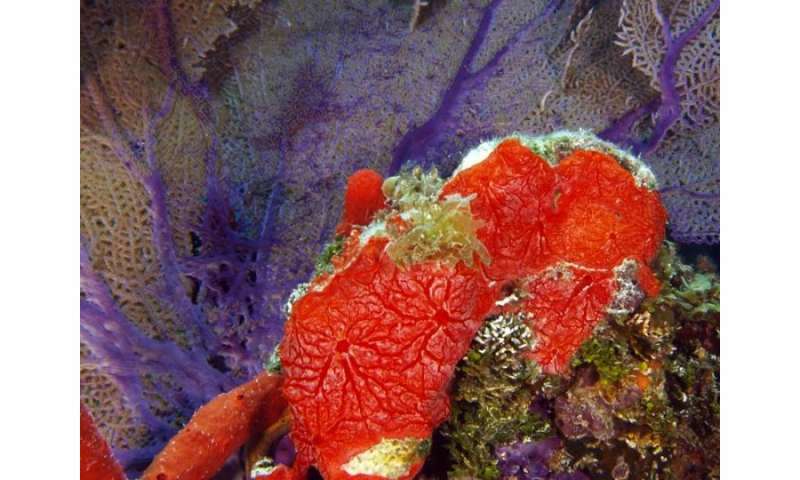 The reaggregation of marine sponges' cells helped the scientists to come closer to understanding of the origin and early evolution of multicellular animals. Reaggregation of marine sponge cells is lending new insight into the origin and early evolution of multicellular animals, according to work published in the Journal of Experimental Zoology Part A: Ecological Genetics and Physiology. Andrey Lavrov and Igor Kosevich, MSU biologists, researched the ability of the cells of marine sponges (Porifera) to reaggregate, describing a process during which artificially separated sponge cells reaggregate and form multicellular aggregates of varying types. Marine sponges are the most ancient group of multicellular animals living on Earth. The structure of adult sponges is quite simple. They lack internal organs, digestive tracts, and nervous and muscular systems. High tissue plasticity is a defining characteristic that enables the sponge to reconstruct its body and provides adaptation to the changing environment. One of the manifestations of this plasticity is an ability to reaggregate after a dissociation of tissues. "Reaggregation of cells represents a prospective model system allowing research of sponge tissues functioning under laboratory control," says Lavrov, a junior researcher in the Department of Invertebrate Zoology, Faculty of Biology, MSU. During reaggregation, multicellular aggregates form in the cell cultures. In the initial stages, all cells in the aggregates have a spherical shape, after which the surface cells acquire a T-shape, and the inner cells adopt an amoeboid shape. The structures of these multicellular aggregates were studied under light microscope and also under scanning and transmission electron microscopy in the interdepartmental laboratory of electronic microscopy (ILEM) of the MSU biological faculty. "In a number of cases, such multicellular aggregates may result in a full reconstruction of an animal's initial organization. The main result of our study is a detailed description of the cell reaggregation dynamics, and also of the structure of multicellular aggregates of the marine sponges belonging to the Demospongiae class," says Lavrov. The detailed research of sponge tissue function brings the scientists closer to understanding the general function of multicellular organisms and processes that led to the transition from unicellular to multicellular forms of life. Apart from that, the research has a practical use: Long-term cultures of multicellular aggregates that form during the reaggregation process may become a basis for producing biologically active substances used in pharmaceutics and cosmetics.